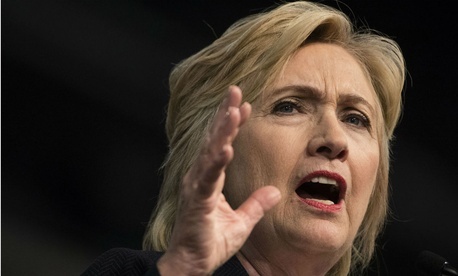 Despite holding a lead over her Republican opponent among the federal workforce, more than half of federal employees think Hillary Clinton received “special treatment” from the Justice Department during the investigation into her email practices. FBI Director James Comey recently announced that while Clinton was “extremely careless” in her handling of sensitive information, his agency would not recommend criminal charges against the Democratic nominee over her use of a private email server during her tenure as State Department secretary. About two-thirds of federal employees said there was at least a chance Clinton received special treatment during that investigation, with 54 percent saying she definitely did. Just 30 percent of respondents said the investigation was fully on the up and up. The poll was released Monday by Government Business Council, the research arm of Government Executive Media Group. 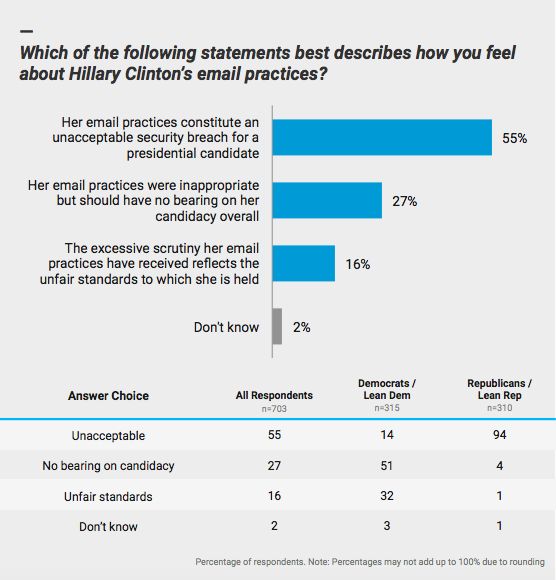 A similar percentage -- 55 -- thinks Clinton’s email practices were “unacceptable” for a presidential candidate. Just 16 percent said she was facing “unfair standards” and “excessive scrutiny,” while 27 percent said her actions were “inappropriate” but should have no bearing on her candidacy overall. Still, Clinton would lead Donald Trump among feds 42 percent to 37 percent if the election were held today. The email scandal appears to have taken its toll, however; 62 percent of federal employees said they view Clinton unfavorably. Previous GBC polling found one in three federal employees say personnel at their agency use private emails to conduct official business. The latest poll was sent to a random sample of Government Executive subscribers from July 12-18. 768 federal employees, representing over 30 civilian and defense agencies, completed the survey. Of those, 33 percent said they identify as Democrats, 30 percent as Republicans, and 28 percent as independent (independent respondents leaned Republican by a 44 percent to 35 percent margin). The margin of error is plus or minus 4 percent. Click here to see how federal employees view Trump’s more controversial comments, and stay tuned for more exclusive coverage of this poll from Government Executive. Full survey results are available here.